Because of a feature in Kik’s make-up that allows it to preserve a user’s anonymity, the app has become popular with young people who want to send and receive messages anonymously. But the app has been criticized for having a poor safety record after a number of child exploitation incidents that apparently happened on the app. It has been reported that pedophiles used this app to groom young children and that users have in the past received sexually explicit content through the app. So, if you know that your child is on Kik, how do you keep them safe? It is quite impossible to just forbid your child to use the app, since they can very well use hide it from you. That only leaves one other course of action. You can monitor what they do while on Kik and who they talk to. This article shows you how to do that. This Kik Tracker tool known as Kikspy is easy to use and completely accessible online. You don’t need to download any software to use, just have the user’s nickname and the program does the rest. Step 1: To use it go to http://www.kikhack2017.com/kikspy/ and on the main page, enter your child’s Kik nickname. Step 2: Under the nickname, select the type of data you would like the program to extract for you and then click “Start”. Step 3: The online tool will immediately begin extracting the data you’ve requested. A few minutes later, the requested data will be displayed on your browser. 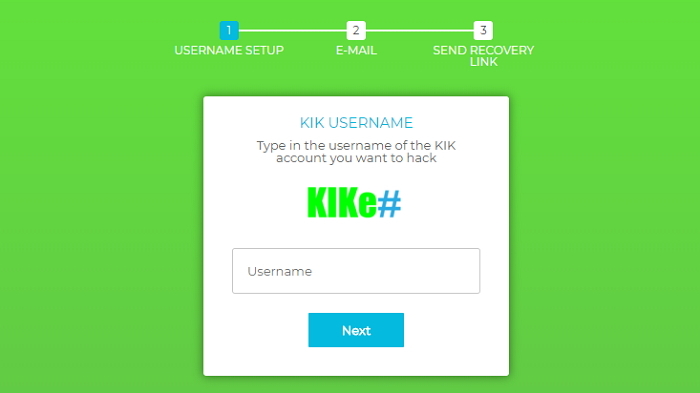 Another alterative you can use to track into your child’s Kik account is http://hackkik.com/. Here’s how to do it. Step 1: Go to this site and enter the Kik account email of the account you want to track and click continue. Step 3: The program will display all the information you requested in a few minutes. You can also choose to use http://hackivo.com/kik/ just follow these simple steps. 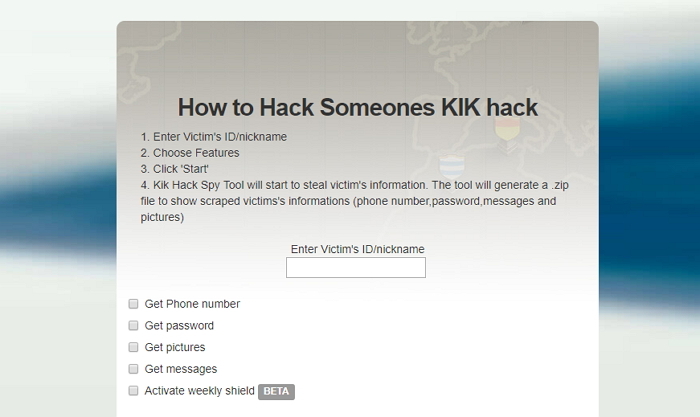 Step 1: Go to this website and enter the username of the Kik account you want to track. Step 2: Enter your email address. Step 3: You should receive a link with information on how to access the Kik account’s information. 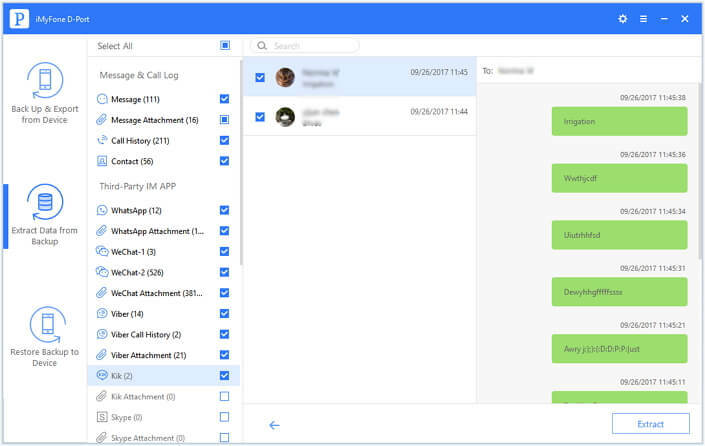 Another way you can see what messages your child is sending and receiving on Kik is to check their iTunes or iCloud backups. There is a program that allows you to make it even without having the device. 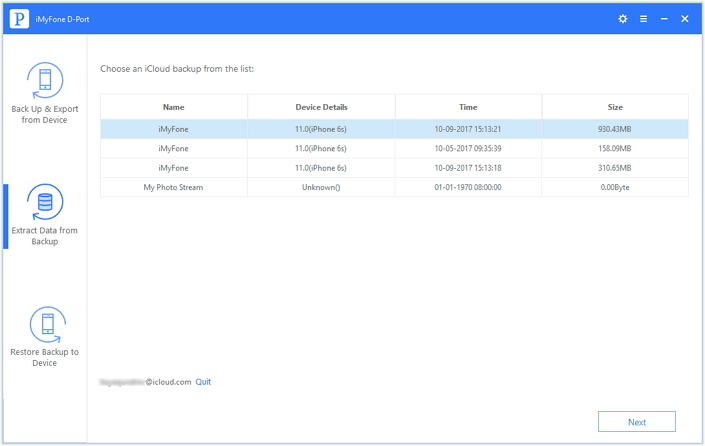 This program is iMyFone D-Port and with it, you can view up to 18 different types of data from an iTunes or iCloud backup. All you need to do is to download the program and follow these simple steps. Access iTunes & iCloud data without having iOS device. 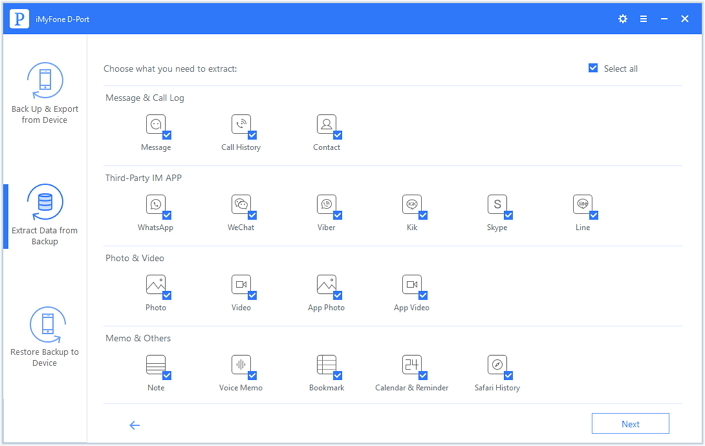 Export up to 18 different types of data such as Kik, WhatsApp, photos, contacts, notes and more from an iPhone, iPad or iPod touch to your computer. Back up the whole iOS device fully or selectively. Step 1: Launch D-Port and from the “Export Data from Backup” tab, then select the iTunes backup file that contains Kik messages you want to view. Step 2: Select “Kik” on the next page to scan the chosen backup file. Step 3: When the scan is complete, you can see all the Kik messages on screen. You can select as many items as you want and click “Extract” to save them to your computer. 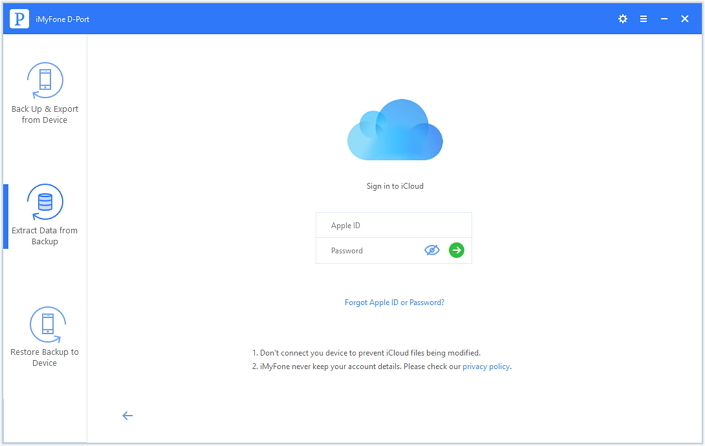 To extract the Kik messages from an iCloud backup, follow these simple steps. Step 1: Click “Download iCloud Backup” in the “Export Data from Backup” tab and then enter the Apple ID and password for the account with the backup you need. Step 2: Select the particular backup file you need and then click “Next” to continue.